A delightful garden flat that has been designed to offer adaptable space which allows the reception room to convert into a useful guest bedroom. There is a light all year round conservatory opening onto a generous and beautifully kept terraced garden. The building is well maintained and offers exceptional convenience for transport and is in the quietest section of this street, mid way between Goldhawk and Uxbridge Road. Minutes from the vibrant Uxbridge Road with its numerous interesting shops and restaurants, and local favorites like The Bush Hall, Bush Theatre and of course Westfield. Tube stations are close at hand with Hamm. & City, Circle Line and Central Lines within an easy walk. 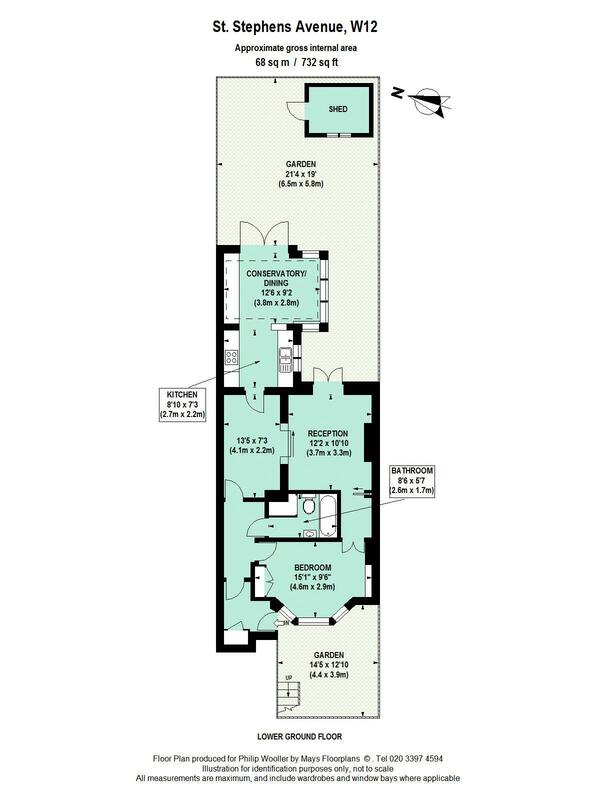 732 sq ft / 68 sq m approx.